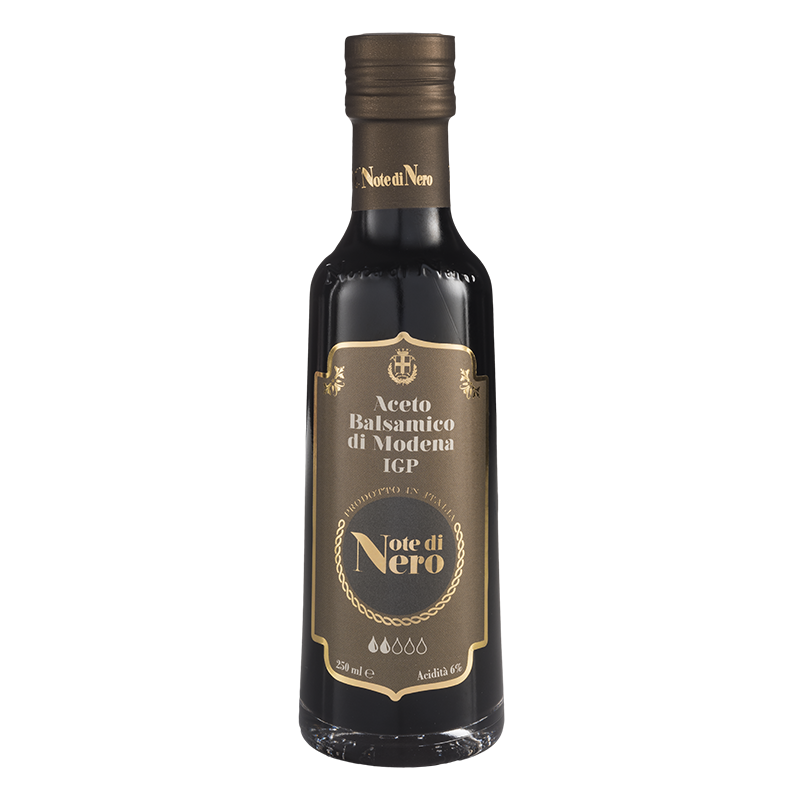 A wide range of balsamic vinegars, dressings and glazes with authentic flavours, made with natural procedures without flavourings or preservatives. 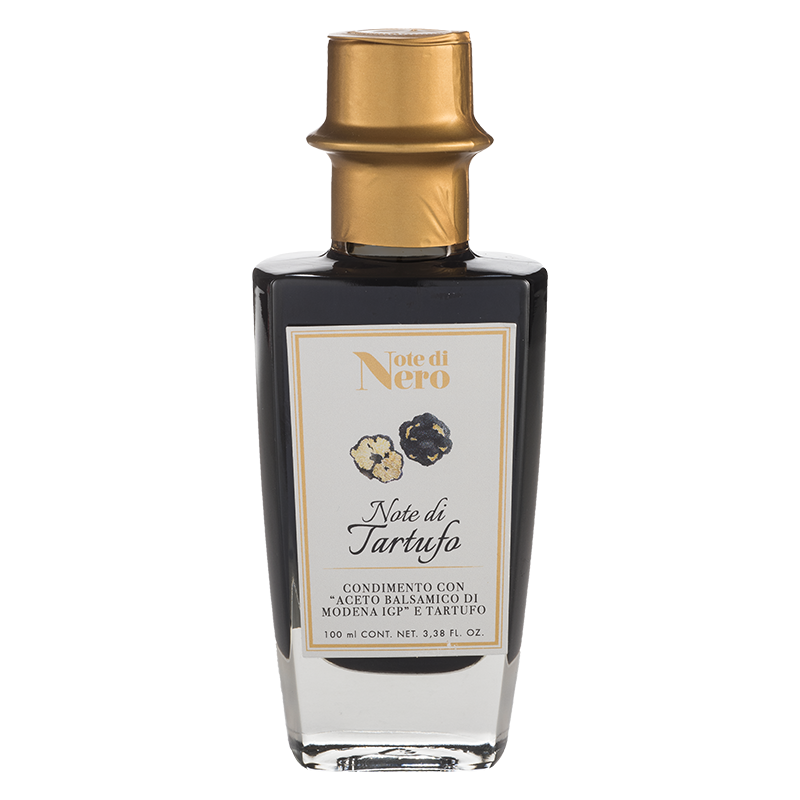 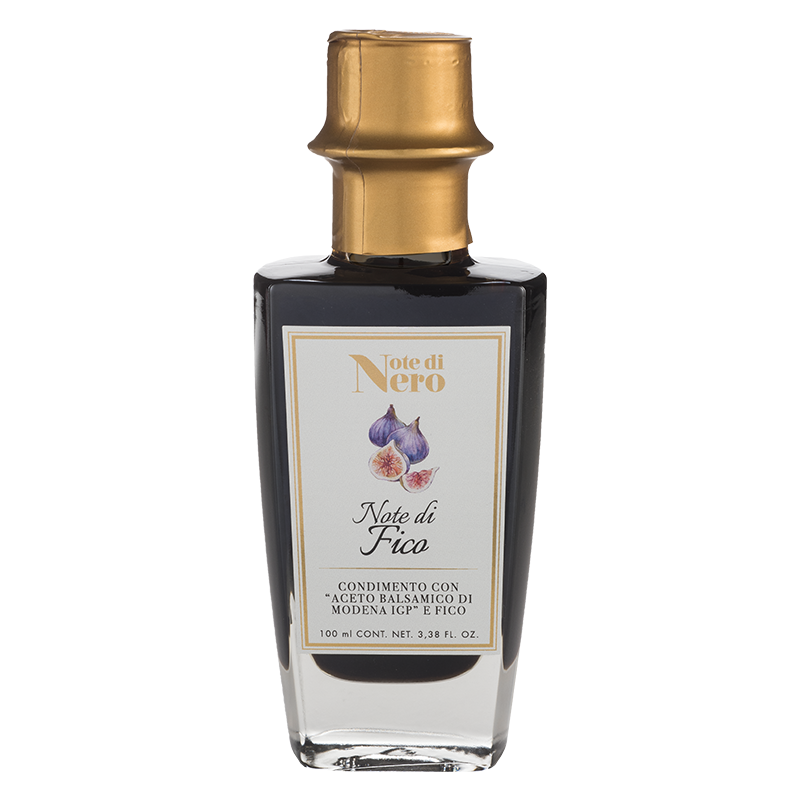 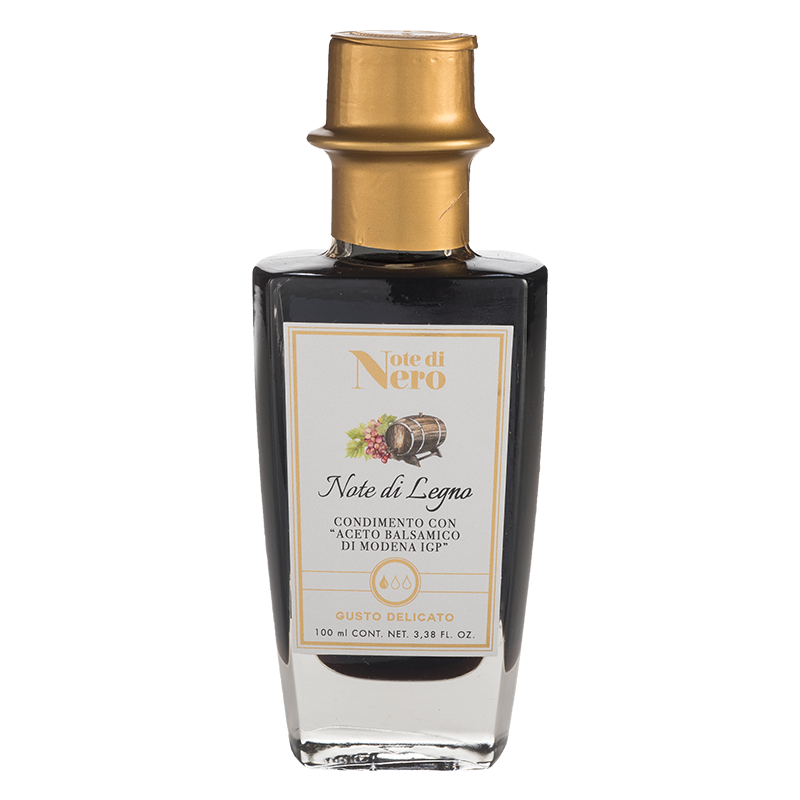 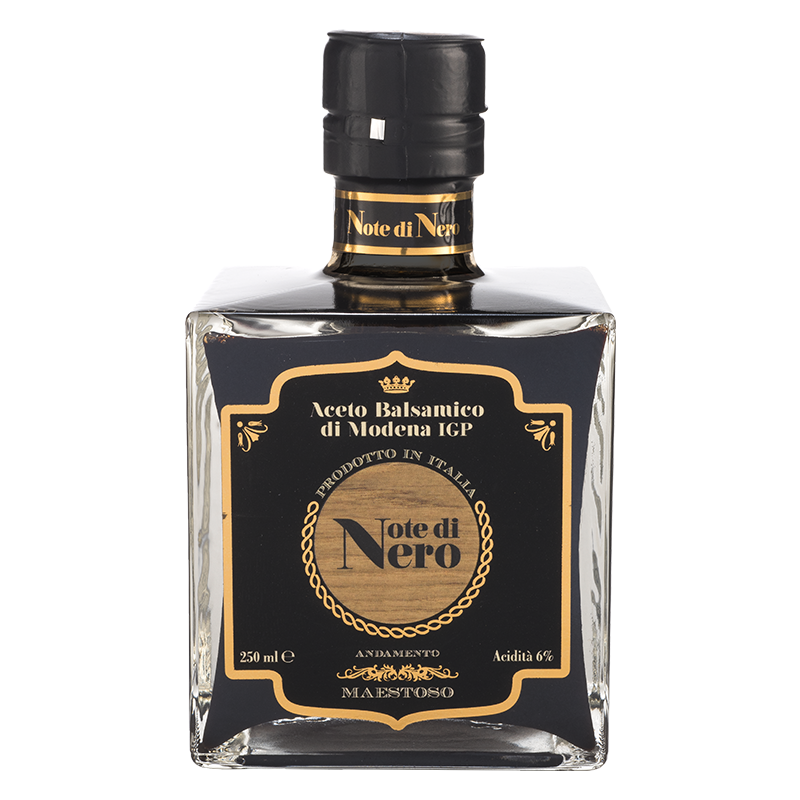 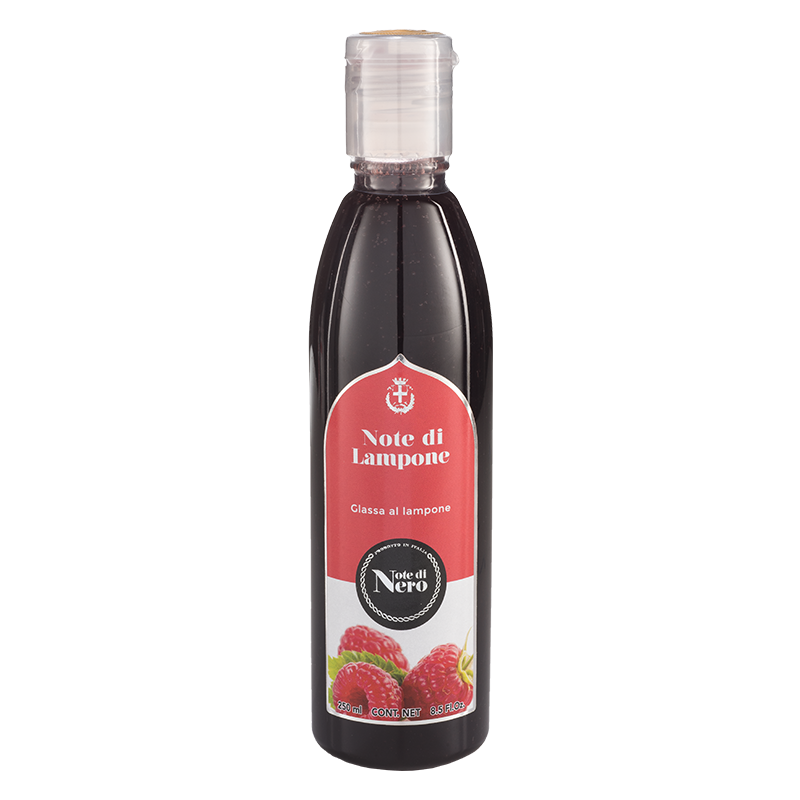 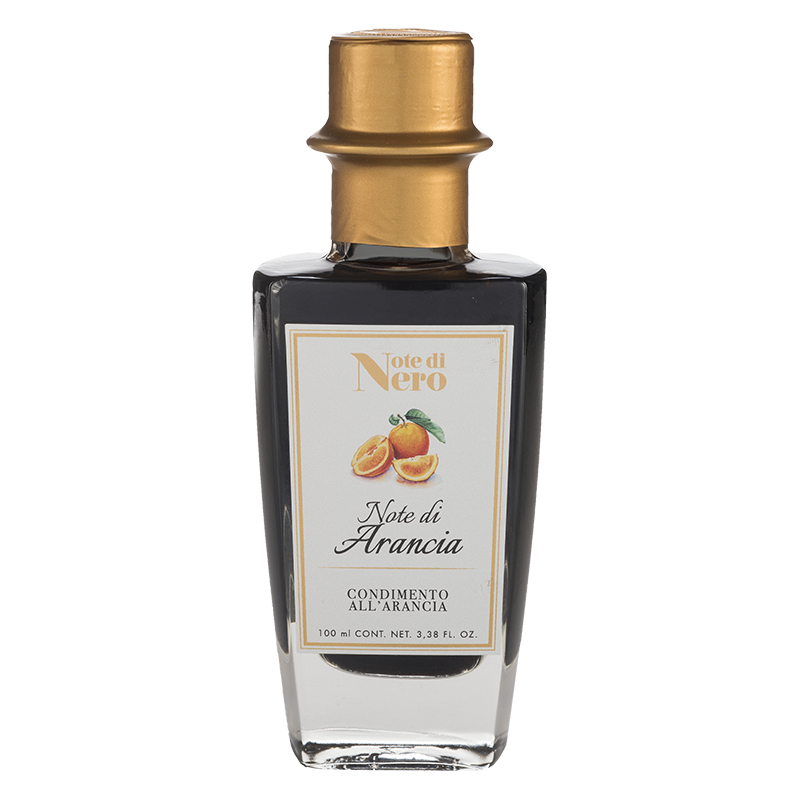 The most distinct range of the Note di Nero production, precious bottles and great presence of wood. Balsamic Vinegars of the highest quality, offering different density levels, ranging from the full and complex texture of the thicker vinegars to the fresh and smooth flavours of the thinner products. 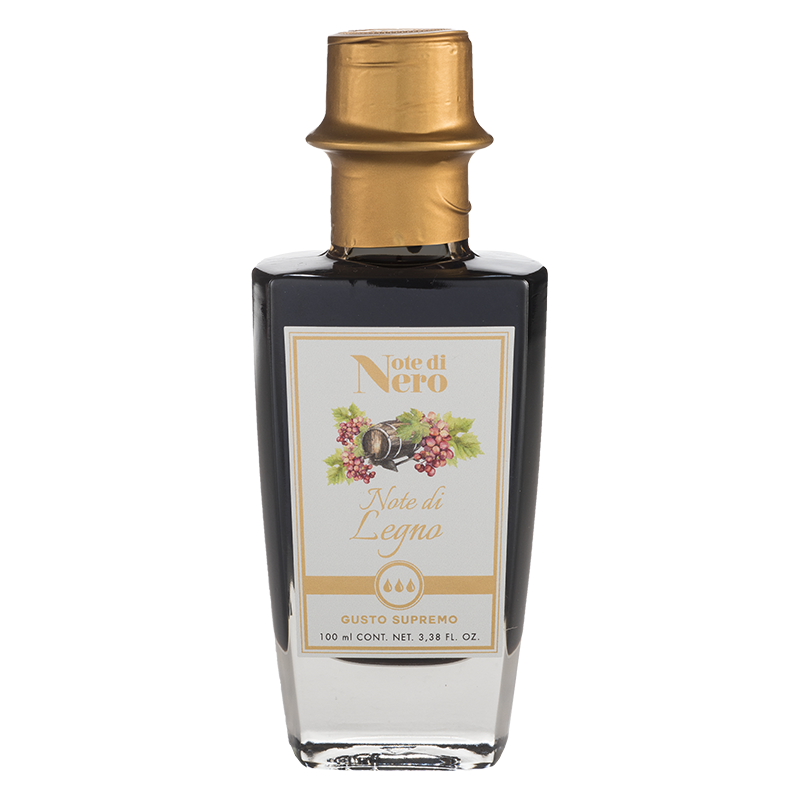 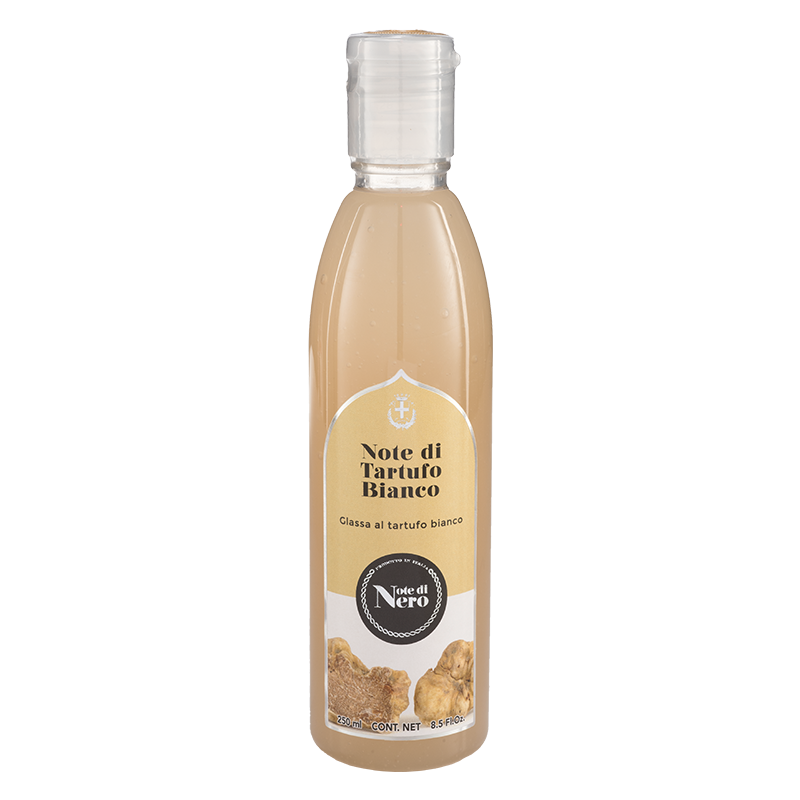 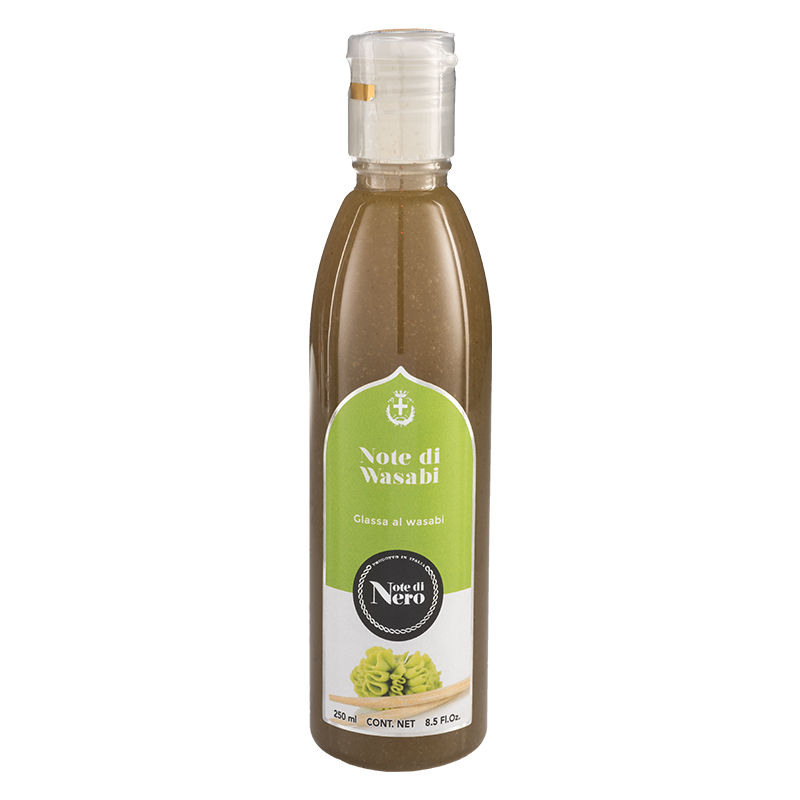 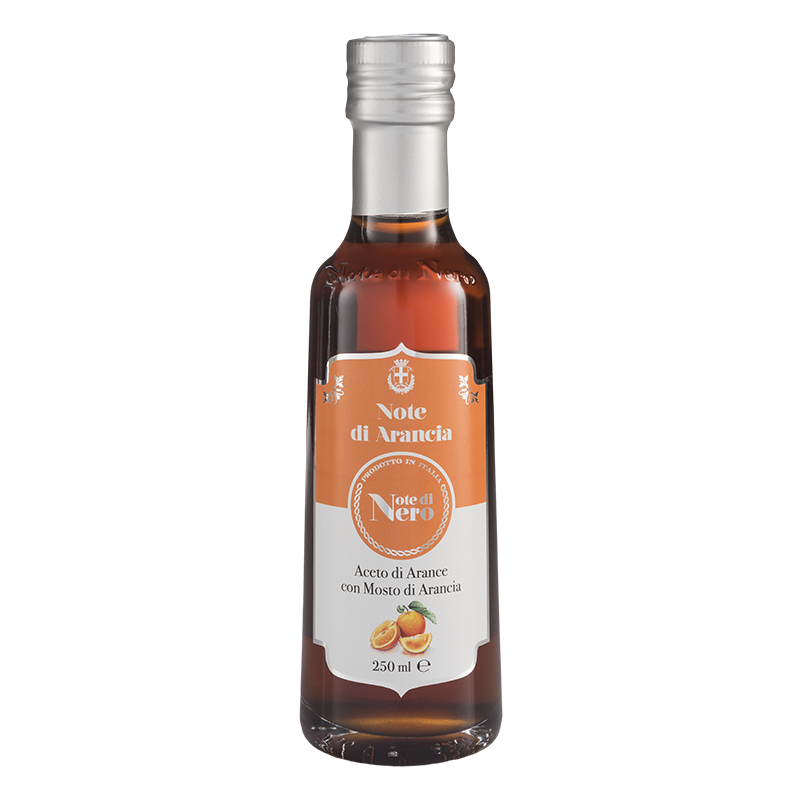 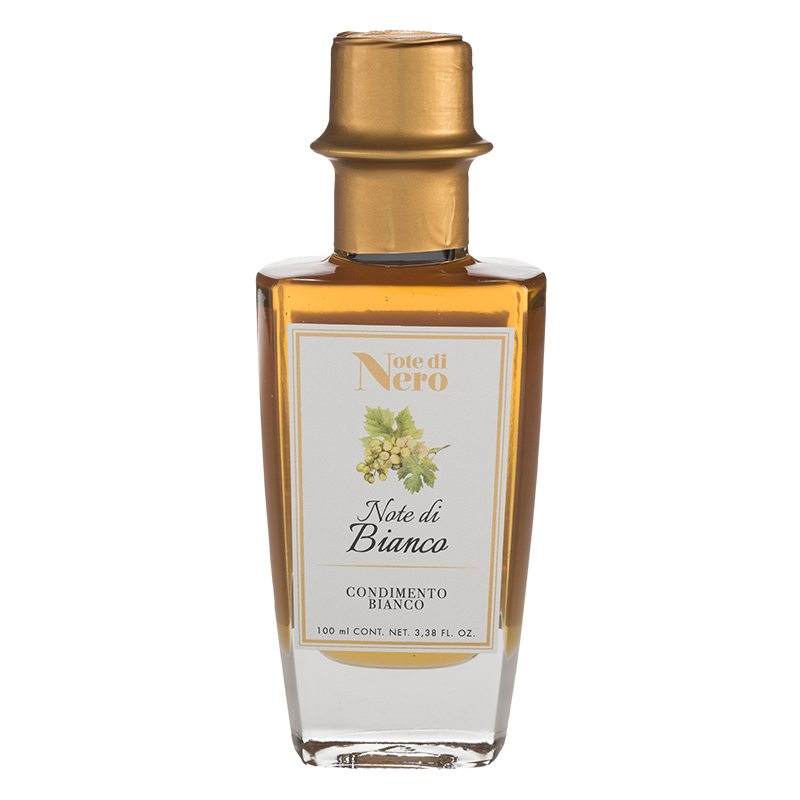 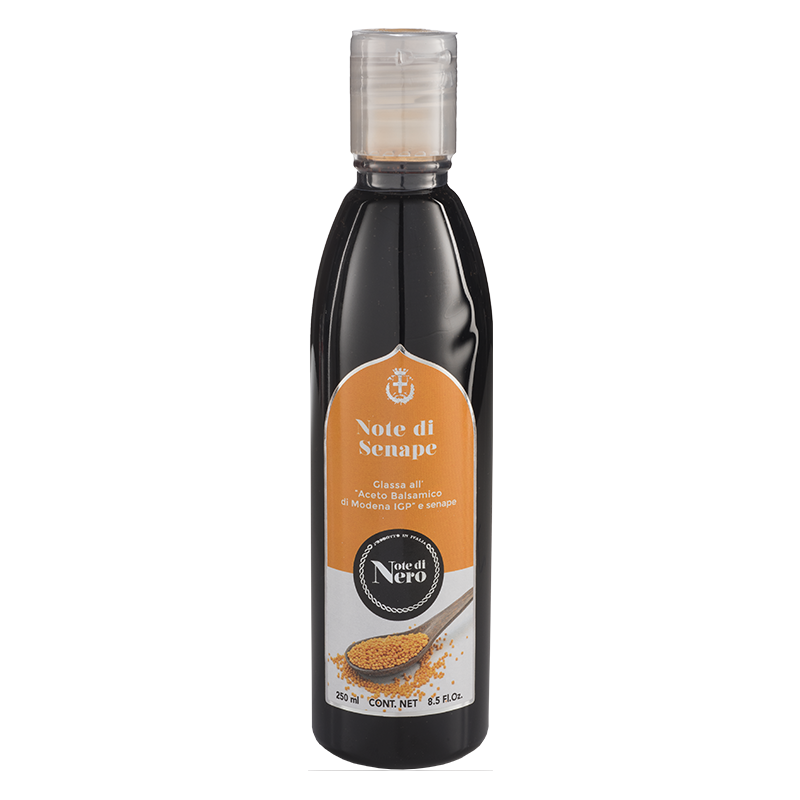 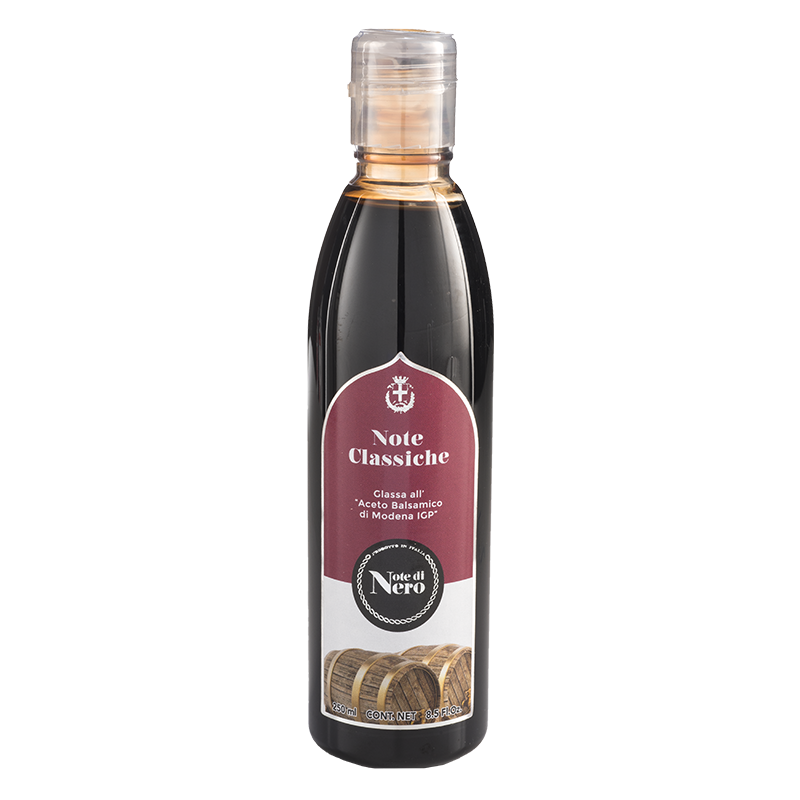 A range that allows Balsamic Vinegar to suit everyday dishes and special occasions. 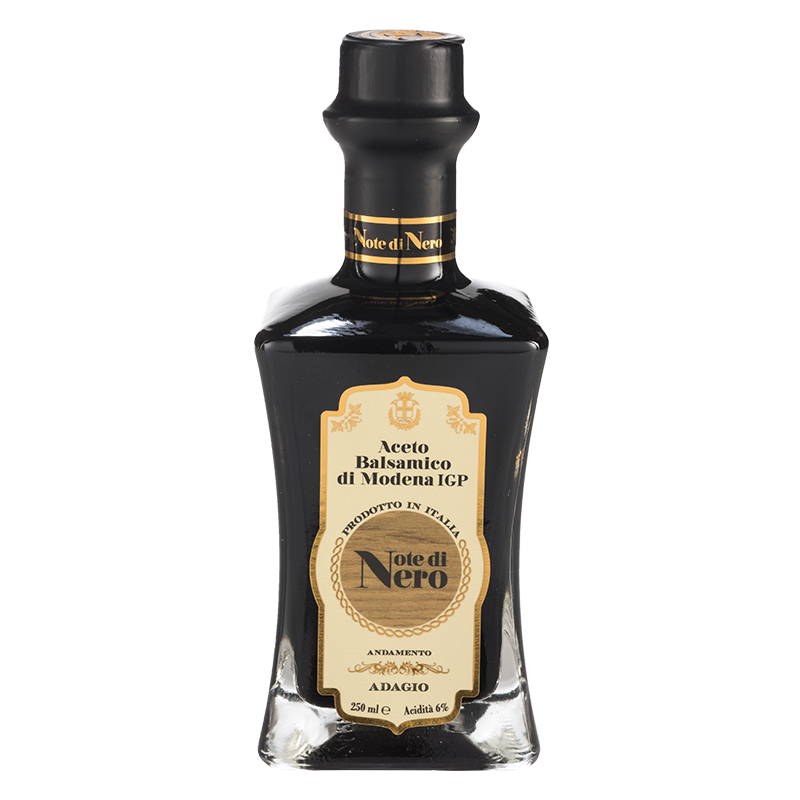 Exclusive and distinct bottles. 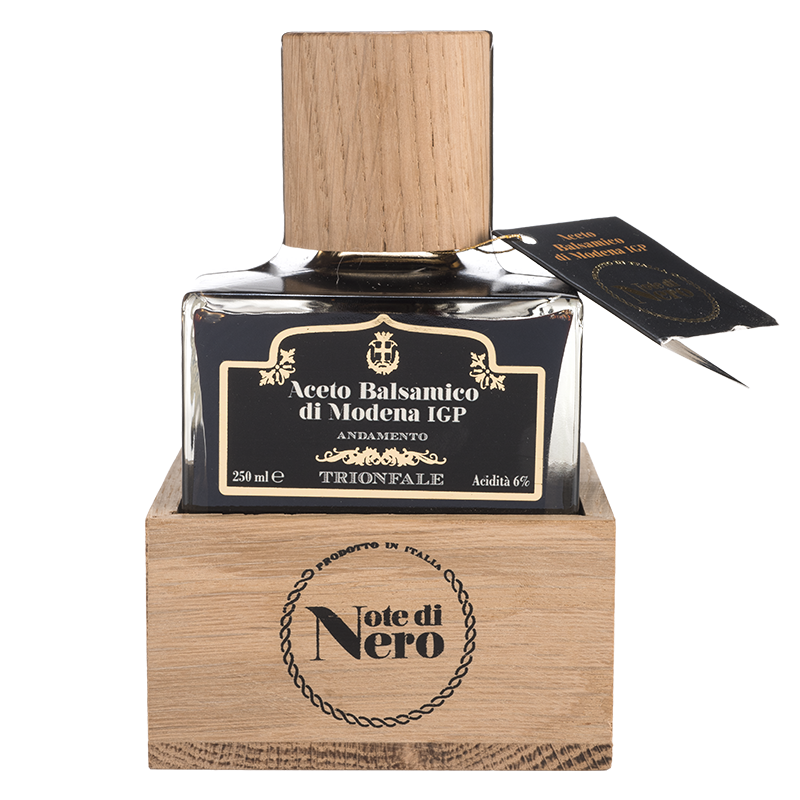 A range of selected IGP Modena Balsamic Vinegars. 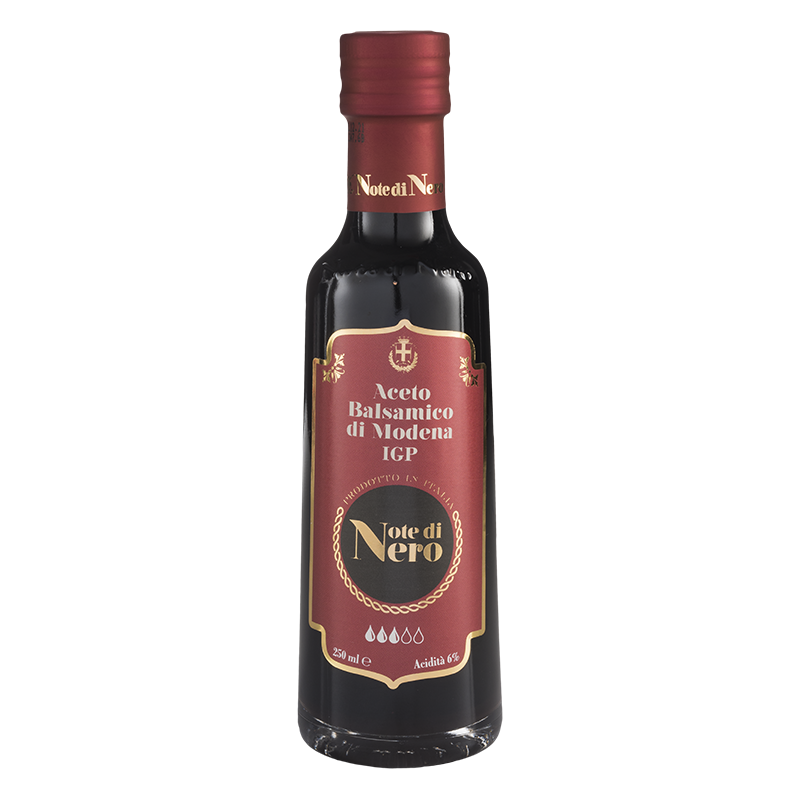 The amount of drops on the label shows the density level: more are the drops, more the product is dense, aromatic and persistent. This is a range that can add a touch of character to every dish. 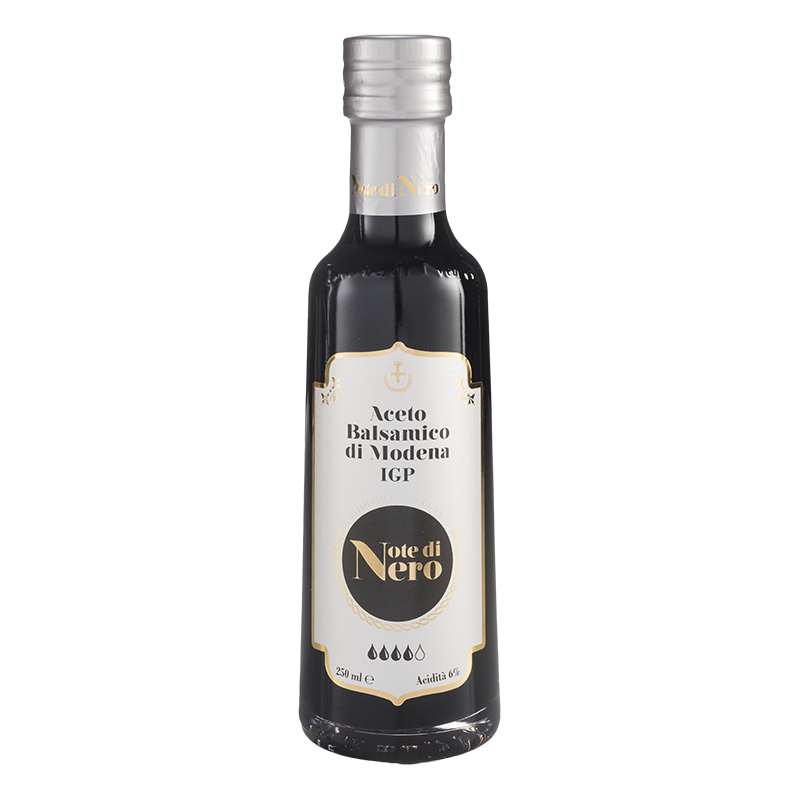 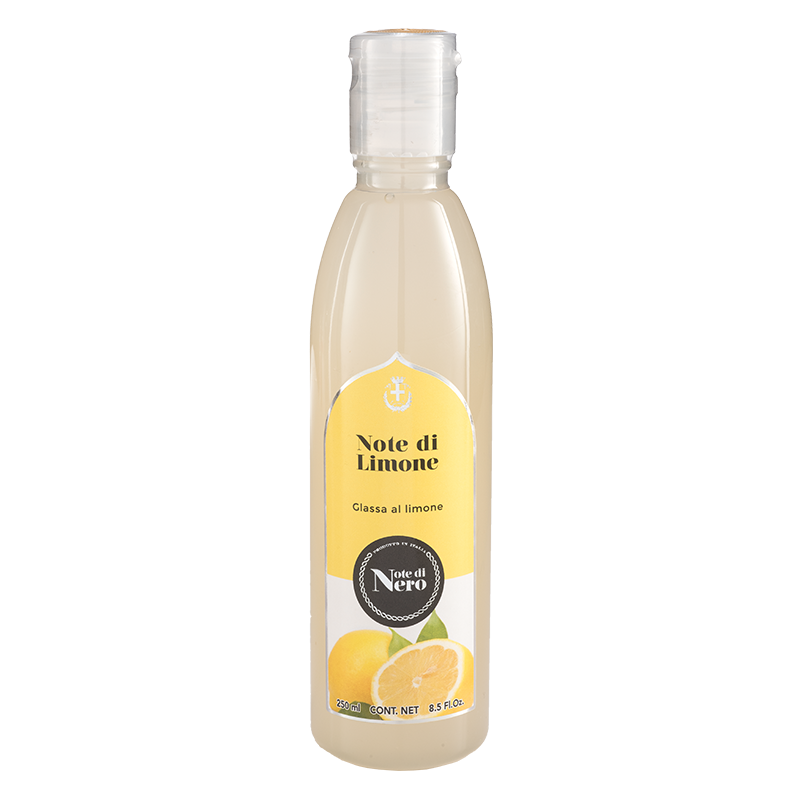 Note di Nero has created a range that is rich with ideas for the hospitality business. Classic vinegars with hints of fruit or truffle for unusual and fascinating combinations. 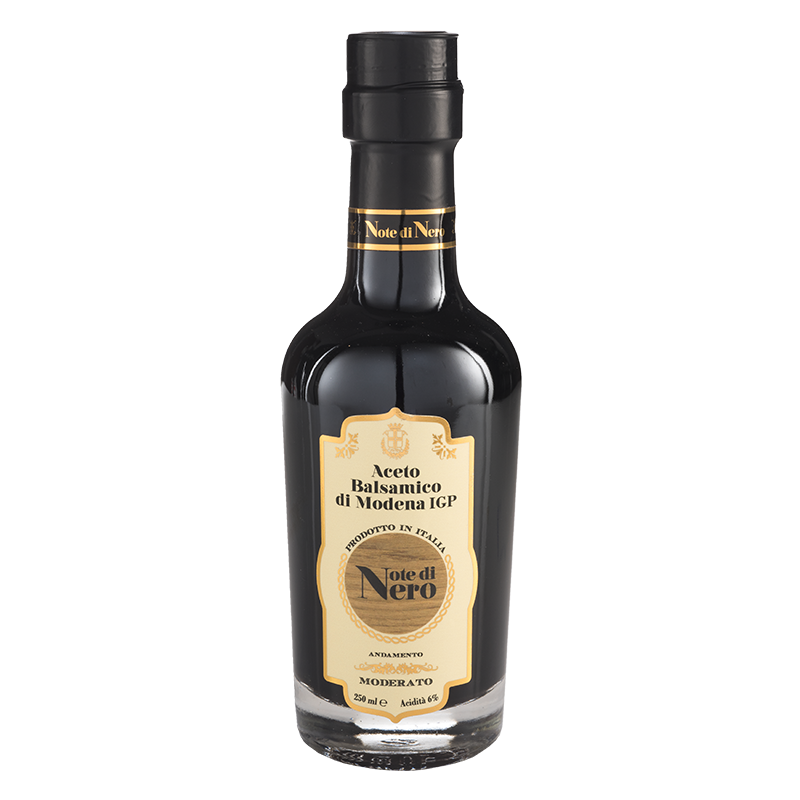 The traditional boundaries of Modena balsamic vinegar stretch and embrace interesting ideas from nature, offering exclusive tasting experiences and new, compelling flavours. 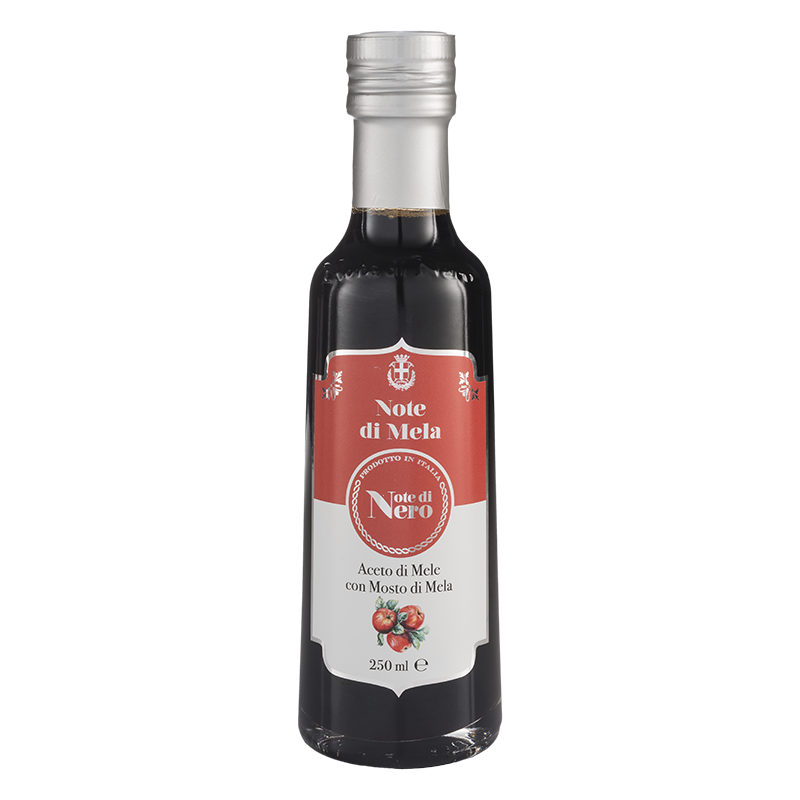 A product range full of flavour, new and fresh, blending balsamic heritage and pleasant fruity tones. 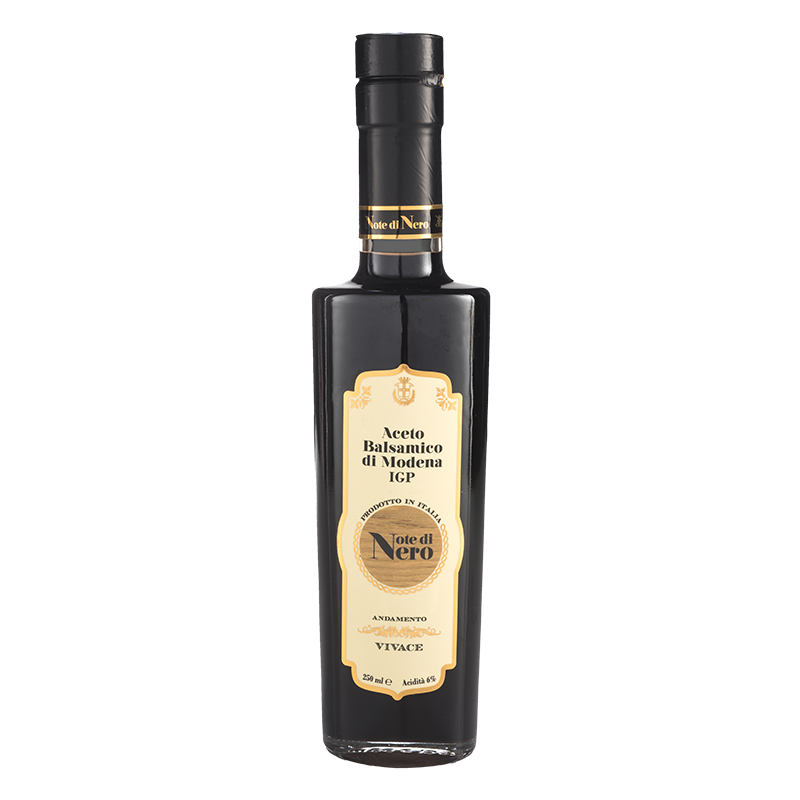 100% natural and aimed at true explorers and pioneers in the kitchen.